WATER CO2 cartridge type fire extinguisher provides safety against A class of fire which includes Wood, Cloth, Paper, Plastics & Fiber, Rubber etc. A & B Wood, Paper, Cloth, Class fires, inflammable liquids, chemicals, petroleum products, solvents, paints, fats, etc. - Threads External:268mm x 1.27 Pitch including angle 55., 18.6mm x 1.81 Pitch including angle 55. 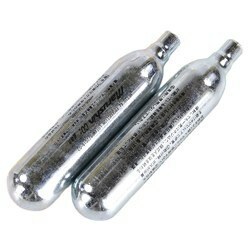 We are supplying a wide range of CO2 Gas Cartridges, which is helpful for extinguishing fire. 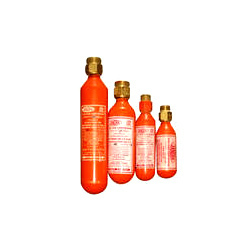 Our clients can avail from different capacities of gas cartridges, namely 30/60/120/200/300/500 grams. These cartridges can be availed from us in special packaging, which is customized as per the preference of our clients.